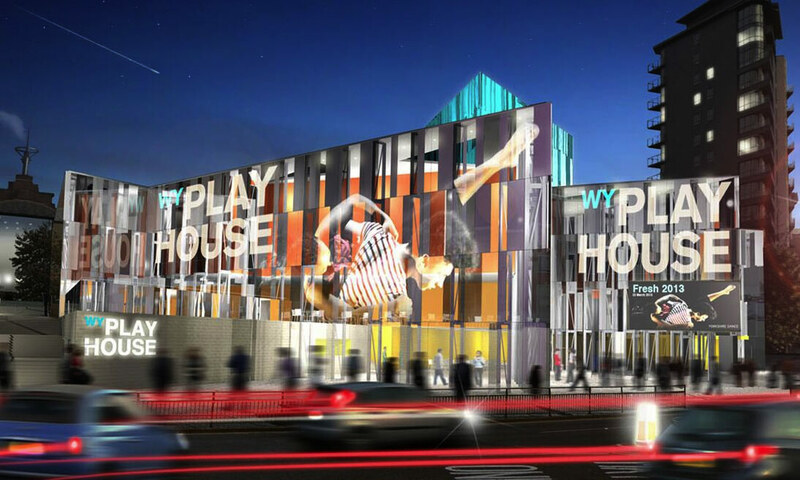 We were asked by WYP as part of a limited competition to produce ideas for the future of the playhouse building. The WYP vision is to provide improved facilities, a stronger first impression, and an impression that better reflects the vibrant activity inside. Our response was to create a folding façade that captures additional space within, and provides a dramatic and dynamic ‘billboard’ from the outside. The scale and visual strength of the concept would also ensure that WYP would be able to stand out amongst its existing, and future, context. 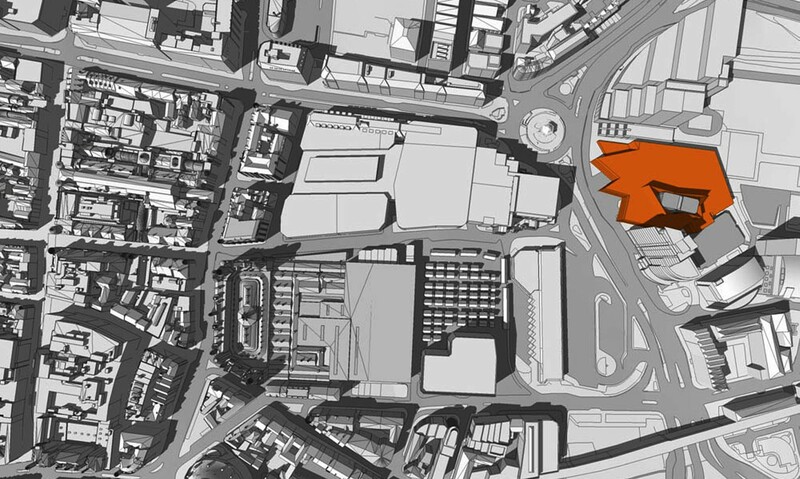 Proposed developments such as Quarry Hill threaten to dwarf WYP, so we believed the architectural response needed to be ambitious. 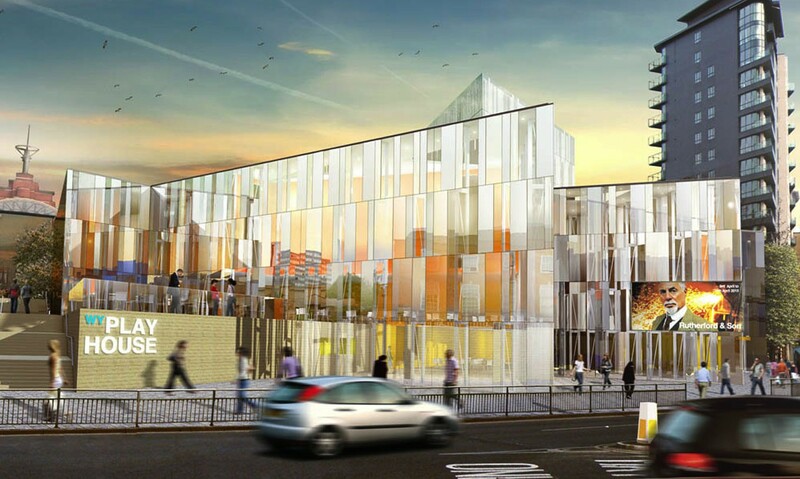 Our design was produced in conjunction with Buro Happold and deloitte.